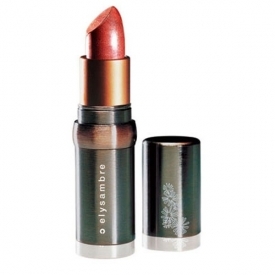 Elysambre's Lipsticks contain 100% natural ingredients with minimum 41.8% plant based active ingredients. Protects and moisturises lips with a composition rich in plant based active ingredients with a long lasting effect. Available in two different ranges: matt or glossy with 23 different colours to choose from. 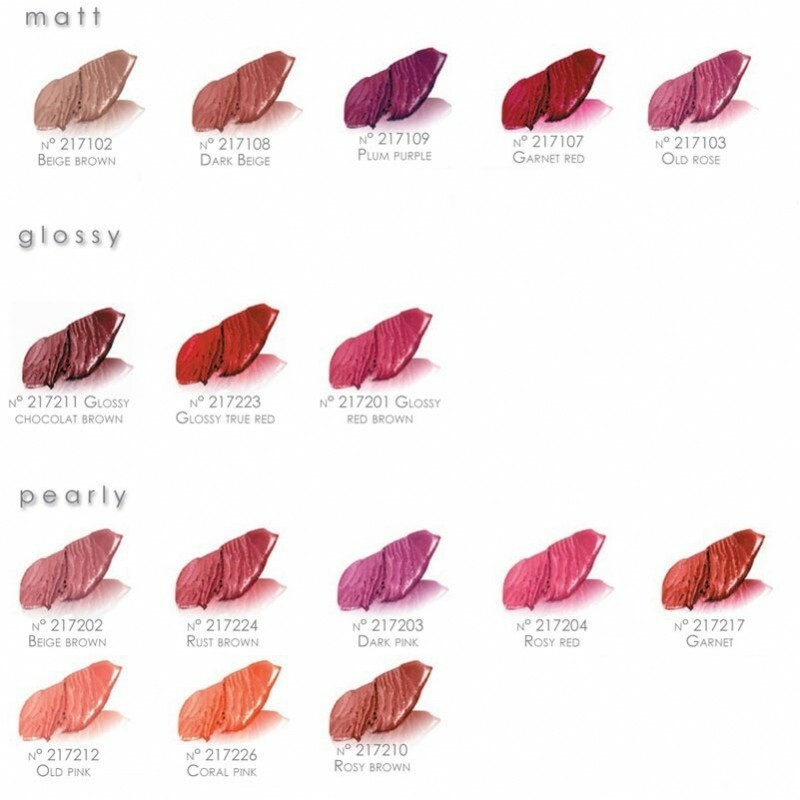 Matt shades are ideal when you need extra long lasting colour and have a dryer consistency. The pearl and gloss shades contain extra moisturisation and create a shinier look. With subtle but delicious natural flavouring. Elysambre lipsticks contain a high proportion of colour pigment. If you love dramatic and strong coloured lipsticks this is the natural makeup range for you! Apply less of the elysambre lipstick for a more subtle look. Contains castor oil, organic apricot oil, jojoba and shea butter to condition, heal and moisturise lips. Copper lipstick case and natural lipstick refill in your selected colour are dispatched separately. Insert refill into case prior to first use. Help preserve our environment and save on packaging by refilling. Elysambre cosmetics are certified paraben-free, mineral oil free, and phenoxyethanol-free. Most of Elysambre's ingredients are certified organic by Ecocert and its packaging is made from recyclable materials such as wood, cardboard and metal. Elysambre products and raw materials are never tested on animals, always cruelty-free. Apply elysambre lipstick using a lip brush, (not supplied) for longer lasting hold, or apply direct to lips from lipstick. Exfoliate lips gently to ensure a soft smooth base for lipstick. Apply an organic lip balm and then gently massage lips with the head of a soft toothbrush to gently remove dead skin cells. Keep lips well conditioned by regularly applying an organic lip balm. lipstick case with elysambre natural lipstick refill once empty.